In April 1959, the British Motor Corporation (BMC) demonstrated a production version of the Mini. 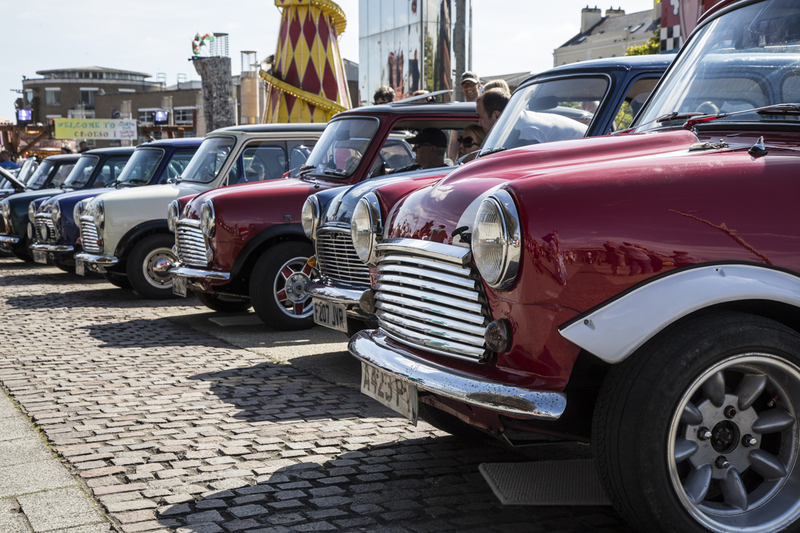 On 26 August 1959, the Mini was officially launched to the public with cars on display in almost 100 countries. One of the world's most popular cars had been born and, in 2019, celebrates a wonderful 60 year history. The concept of a small car dated back to 1956 and the Suez Crisis. Petrol was rationed due to a fuel shortage and sales of large cars plummeted. German Bubble Cars and the Fiat 500 (launched in 1957) suddenly became popular on the roads of the UK. In response, the head of BMC, Leonard Lord, vowed to design a 'proper miniature car'. He instructed Alec Issigonis and his design engineers to develop a car that measured no more than 3.0 x 1.2 x 1.2 metres with passenger accommodation occupying 1.8 metres of the length. The finished design was revolutionary. Indeed, BMS and Alec Issigonis won the 1959 Dewar Trophy for the design and production of the Mini. In 1961, John Cooper approached BMC to develop the Mini into a rally car. With the assistance of Issigonis, they developed the Mini Cooper and Mini Cooper S. During the sixties, the Mini Cooper would achieve great rallying success. Other variants included the Mini Clubman and the 1275 GT (1969 - 1980). 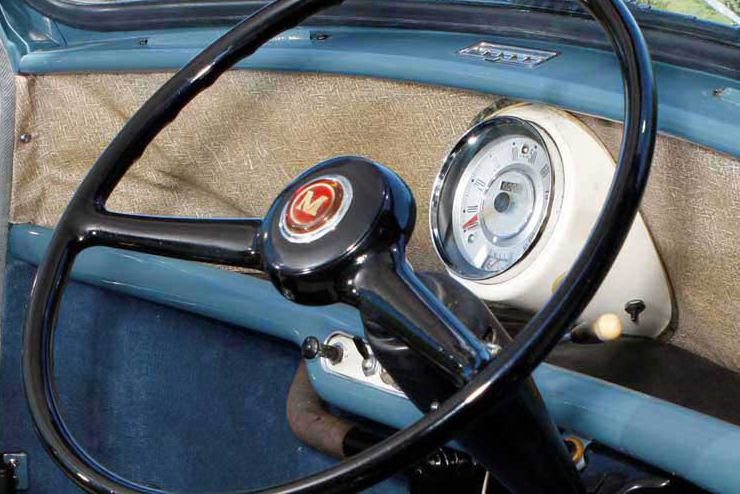 From day one, the Mini car featured SMITHS gauges. The early models featured just one centralised speedometer with integral odometer and fuel gauge. The white-faced gauge was centrally mounted, a feature that was re-introduced with the modern BMW designed Mini. Over time the number of gauges increased with the Mini Cooper S featuring a separate coolant temperature and oil gauge. Also the face changed to black. The last production Mini to feature a SMITHS gauge was in the mid-1980s. By this time, the gauges were arranged in a 3 pod version mounted behind the steering wheel. SMITHS continued to manufacture and supply replacement gauges for the early classic Mini. Then, in the mid-1990s, John Cooper Garages Ltd requested a new range of magnolia-faced instruments featuring the John Cooper signature. These gauges were supplied until the early 2000s. To celebrate the year 2000, several millennium edition gauges were launched. These included a voltmeter, oil temperature gauge and clock. Each had an ivory-coloured dial and vermilion pointer blades. The gauges were first supplied to Automotive Fascia Systems and then to Prestige Veneers Ltd.
SMITHS gauges continue to be manufactured by Caerbont Automotive Instruments. The gauges are built using the original design drawings and assembly instructions. Many original mechanical gauges have been converted to digital OLED, retaining the original dimensions to ensure a perfect fit. Also, a new SMITHS electronic speedometer for the Mini Cooper S was released in early 2017. The present day BMW designed Mini has been exceptionally popular and is a common sight on roads all over the world. However, it is the original Mini car that holds a special affection for millions of enthusiasts. SMITHS is very proud to have been an integral part of the 60-year Mini story.